In a Nutshell: A lack of transparency in the charity space has many would-be donors questioning where their funds will go once the charity receives them. Most major charitable organizations receive too many donations each year to properly track the distribution of every dollar. Chuffed.org aims to solve this issue with a global crowdfunding platform that supports small- and medium-sized charities and individuals in need. Since 2012, the Chuffed platform has helped raise more than $18 million in donations from 224,000 donors across 7,900 campaigns. The platform now averages over $1 million in donations each month and continues to experience rapid adoption with multiple new campaigns added daily. Prashan Paramanathan worked for years as a consultant in the Australian charity sector and watched as donations to the same top charities grew and broke records each year. Meanwhile, thousands of smaller, but still worthwhile, charities struggled to raise enough funds to remain operational. In 2012, conversations with friends who were bankers, lawyers, and accountants gave him the sense that donor mentality might be changing. The search for that interaction led to his creation of Chuffed.org. The crowdfunding platform started in Australia, but it has since spread around the globe, including the US and Canada, and helps to raise more than $18 million in donations from 224,000 donors across 7,900 campaigns. Fundraising campaigns on Chuffed vary from social issues, such as feeding the poor, to individual causes, like providing uniforms for a high school baseball team and contributing to the medical bills of a beloved pet. The secret to Chuffed — which is an Australian term meaning “very pleased” — is the experience it provides to donors who are looking to support grassroots movements that are near to their hearts. Paramanathan’s years in charity work taught him that most of the larger charitable organizations lack transparency with the donations they receive. Donors who give to their preferred causes often have no idea where their money goes and what it helps accomplish. Chuffed aims to solve that issue through the organizations who host crowdfunding campaigns on its platform. Organizations must often pay high fees when claiming the money collected through crowdfunding campaigns on many popular platforms. Many of these platforms charge an administration fee along with payment processing fees attached to each donation. Campaigns on Chuffed receive 100% of the collected donations thanks to the platform’s optional donation model. When a donor makes a pledge to a charity, Chuffed adds a $0.30 and 2% credit card processing fee on top of the donation total. Donors can also choose to add an amount of their choice to help fund Chuffed’s operations. The Chuffed platform continues to grow with each successfully hosted campaign and now averages more than $1 million in campaign donations collected each month across 20 countries — an exceptional feat for an eight-person organization. Chuffed supporters host regular workshops around the world to help fundraiser organizers learn how to maximize their exposure and chances of success on the platform. Several people who have run successful campaigns in the past also provide insight into what it takes to meet and exceed fundraising goals. Many organizations have found greater success using Chuffed when compared to their experiences on other platforms. In December 2017, Wayside Chapel in Australia turned to Chuffed to raise funds for its annual Donate a Plate event that provides Christmas lunch for an area homeless shelter. Over a short period on Chuffed, it raised $325,000. The same campaign had raised $50,000 the previous year through a different platform. The recent expansion of Chuffed’s platforms added support for US 501(c)(3) and Canadian registered charities which allows tax-deductible contributions within those countries. Chuffed’s goal to transcend being simply a platform for raising funds started when Paramanathan and the company’s other founders established the company’s constitution. 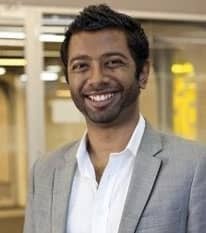 Prashan Paramanathan is CEO at Chuffed.org. While publicly traded companies must act in the best interest of its shareholders, the privately run Chuffed vows to consider the benefit of those who have a financial stake in the company, but only alongside the social purpose each decision has on the company, its employees, the environment, and the general community. 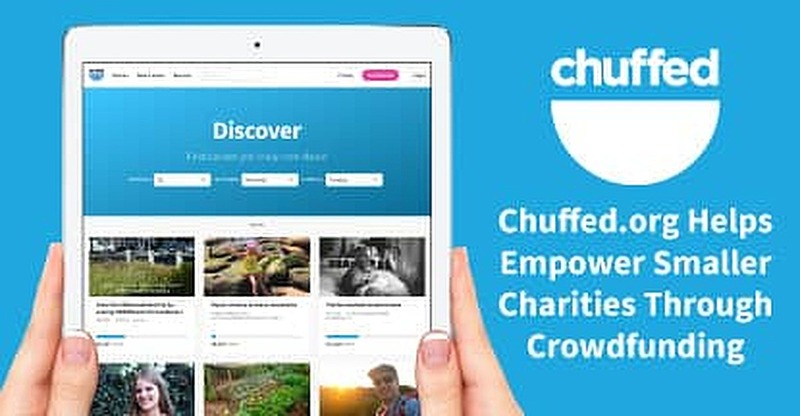 Thousands of small- and medium-sized organizations and individuals from 20 countries conduct successful crowdfunding campaigns for charitable purposes on Chuffed. New campaigns appear daily with a broad scope of purposes and needs for donors to choose from. In 2017, Chuffed upgraded its platform and now supports tax deductible receipting for US 501(c)(3) and Canadian registered charities. For Paramanathan, the growth of Chuffed is a welcome sign that many generous donors still want to help fund smaller, grassroots causes that are outside of the popular charities.